Everyone loves a parade! With musical acts, local volunteers and sights and colors for everyone, this years parade is sure to impress even the hardiest of critic! 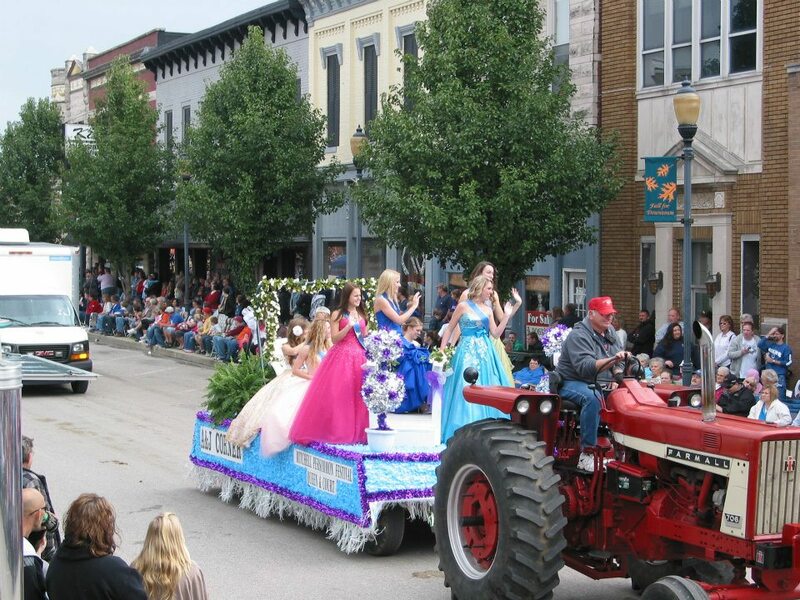 If your business of organization is interested in being in this years parade click here for our parade form! SATURDAY, SEPTEMBER 29, 2018, 2:00 p.m.
that, with good weather and your cooperation, it will be an enjoyable day for all participants. No candy, flyers or objects shall be thrown from parade units or distributed along the parade route. All candidates for political office must ride on their respective party’s float. Signs directing you to the parade staging area will be on both highways leading into Mitchell. Please follow the signs. 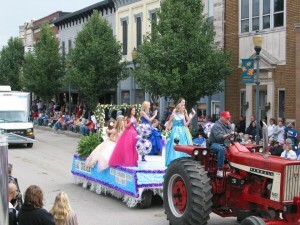 Float contest participants should have their unit at the parade staging area no later than 11:45 a.m. Float judging will begin at noon and be completed by 1:15 p.m.
All parade units should arrive at the parade staging area no later than 11:45 p.m. The parade will move at a “fast walk” pace. Please try to avoid gaps in the parade, staying within 50 feet of the unit in front of you. The parade will begin at 1:45 p.m., with the lead units approaching the reviewing standat 2:00 p.m.
By participating in the parade, you agree to hold harmless the City of Mitchell, Greater Mitchell Chamber of Commerce, Inc., and the Persimmon Festival Committee from all liability and/or injury that may occur from participation in this event. Parade committee reserves the right to accept/not accept entries.